Composting Leaves - How To Make Great Compost From Leaves This Fall! 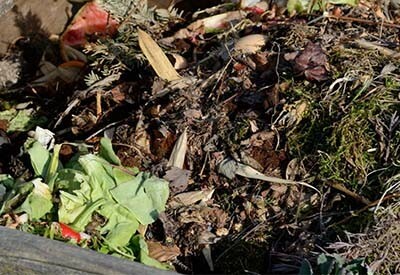 Composting leaves – the quick and easy way to make homemade “black gold” this fall! Fall’s bounty of leaves means great compost for next year! Fall is here, and leaves that provided shade all summer are now making their way to the earth’s floor. For some, it’s a beautiful display of autumn’s showy colors. While for others, it means a little raking and bagging. But for avid gardeners, it means it’s time to make some incredible compost by composting leaves! Compost is quite simply the single most important ingredient to a highly productive and healthy garden. And there is no better time to make it in the fall, when falling leaves are abundant. Composting leaves successfully really comes to down to four simple keys. Follow them, and you will end up with some incredibly rich and fertile compost for your garden landscape and flowerbeds next year. The first rule of composting leaves is to know that some varieties are a better choice than others. Maple, Birch, Ash, Beech, Crab Apple, Pear and other leaves of fruit trees are your best choices. They compost fast and are balanced in the nutrients they provide to a compost pile. Shiny and tougher leaves from trees such as magnolia or ginkgo can be composted, but do take longer to break down in piles. What about oak leaves? Well, they can certainly be composted, but do to their acidic nature, they should be done so in moderation. The leaves of oak trees are much more acidic than leaves from other trees. Too many in a pile can result in finished compost less than ideal for vegetable and flower gardens. As long as the make-up of your pile is made up of 20% or less oak leaves, you should be more than fine. The single most important key to making compost quickly with leaves is to shred them. Whole leaves can take FOREVER to decompose! Shredded leaves, on the other hand, break down quickly in a compost pile. If you shred leaves to a fine consistency of 1/4″ to 1/2″ pieces, you speed the entire process up by 10 fold. Every single edge that has been cut now can start to deteriorate, as opposed to an entire leaf breaking down. And no need to purchase an expensive shredder. 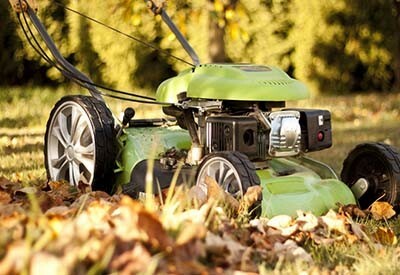 A push mower or riding lawn mower will shred leaves perfectly. Simply lay out the leaves in a row and mow over them. If your push mower happens to have a bagging attachment, even better! Now that you have a big pile of shredded leaves, it’s time to heat that pile up with a little nitrogen. A good compost pile is made up of a 4 parts of brown (dry materials), and 1 part “green” or active materials. Dry materials of course are the leaves. The greens are materials that contain a good source of nitrogen to get the pile cooking. Last but not least, you need to mix those ingredients on a regular basis! When you first build your pile, mix all of the leaves and greens thoroughly. If the pile is a bit dry, add a bit of water as well to get the pile’s consistency to a well-wrung sponge. In addition to a source of nitrogen, compost piles need a good amount of moisture to keep working hard. The more you turn, the more your compost pile works! All that is left is to turn that pile! At the least, turn your pile every week as the weather allows. This keeps oxygen in the core, and will keep the pile heated even as temperatures drop. Most piles will finally freeze at some point in the winter, but as temps allow, keep turning. And as soon as early spring brings warm enough temps – start turning again. You will be amazed that by mid to late spring, your compost pile will be ready to use in your garden. 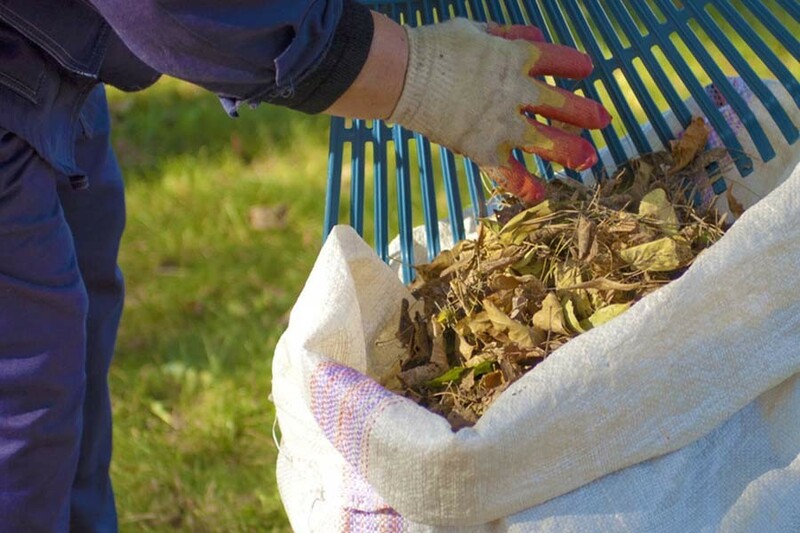 It’s time to get out there and start composting leaves! Happy Autumn – Jim and Mary. If you would like to receive our DIY, Gardening and Recipe articles each week, sign up via email at the bottom of this post. You can also like and follow us on Facebook, Twitter or Instagram. This article may contain affiliate links. Thank you. Some research indicates that the acidity of the leaves composted will not affect the make-up of the soil chemistry. Interesting to know. I didn’t find the actual research but this response form a Master Gardener. When you pour hot water through the dry coffee you wash out a lot of acidity and you end up drinking it . The left over grounds have less acidity and are safe to use. Unfortunately our silver maples and all in the region are covered in a fungal disease – we can’t compost them! I’m going to look for other sources – like the town leaf collection, but I’m afraid it’s going to be hard to avoid those maples leaves. We have an abundance of Madrone leaves and pine needles. Can any of these be used in a compost pile. I would prefer not to burn them but not sure how much I can use in the compost pile. Used coffee grounds are safe and beneficial to use in the garden. Unused coffee grounds aren’t recommended due to the possibility of high acid levels. Aren’t coffee grounds too acidic for the garden?